Known for their exquisite beauty and intoxicating scent, the rose is one of the most widely cultivated landscape plants and is found in gardens and yards worldwide. With hundreds of varieties available, they can be grown in almost any color imaginable and a wide variety of climatic zones and growing conditions. Because of this variety and adaptability, it's no wonder they are so popular in home gardens! Roses are fairly easy to maintain, but one of the most important things you can do as a gardener is to prune them regularly. This will keep plants healthy and discourage disease while maintaining a beautiful shape that promotes blossoming. 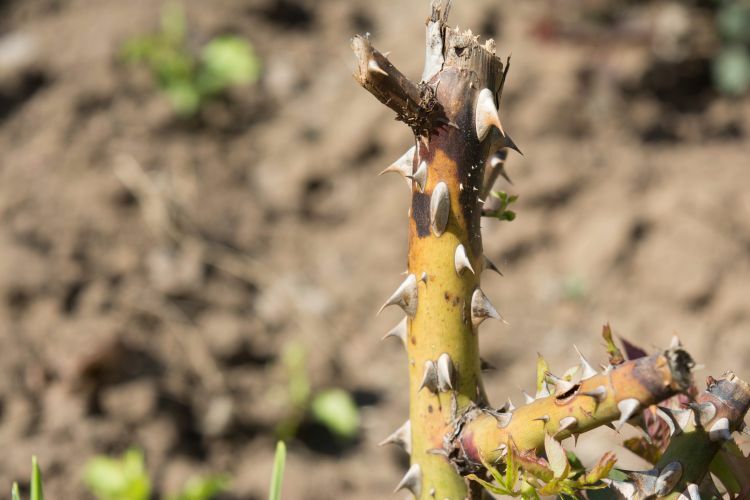 These five tips will help even the most novice gardener prune their rose bushes like a pro. 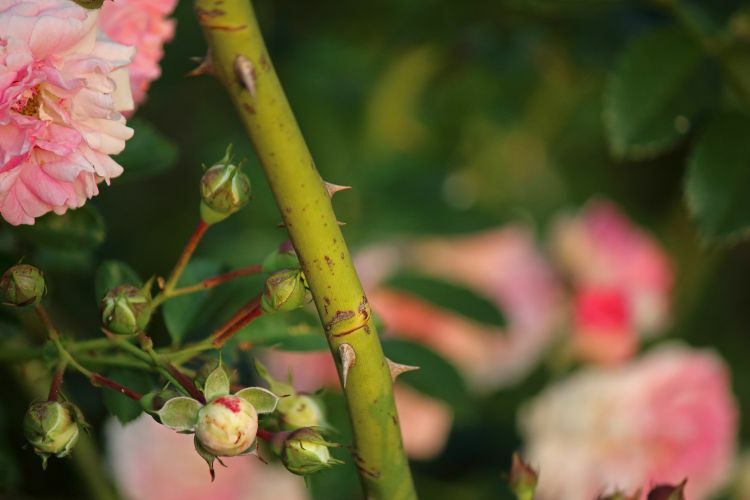 To get a really good visual of the structure of the rose bush, it's best to prune it when there aren't any leaves on it. Either do this in the spring before the plant breaks its dormancy or remove all of the leaves by hand. Step two is to cut out all canes that are diseased or dead. If you are unsure about the health check the center of the cane: If it's brown or black, the branch is dead; green means healthy plant material. Garden Guides shows exactly what to look for when determining if the canes are dead or alive. 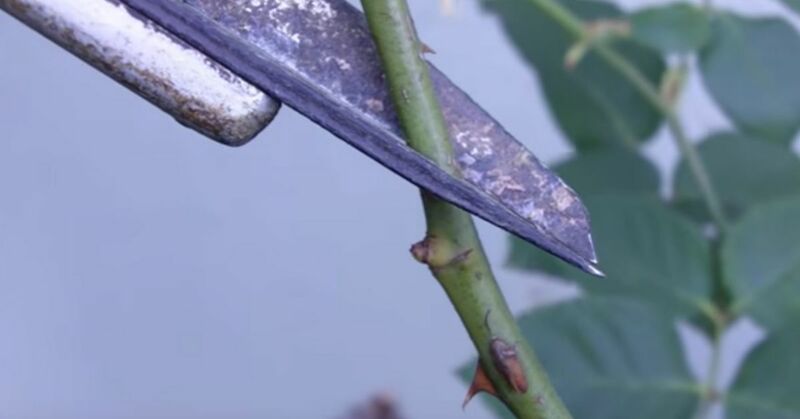 Removing the diseased or dead material will open up the center of the rose bush, allowing good air flow. You should now have six to eight good, strong, healthy vertical canes left on the rose bush. To promote continuous blooming it's time to cut those vertical canes down to a height of 18 to 24 inches. 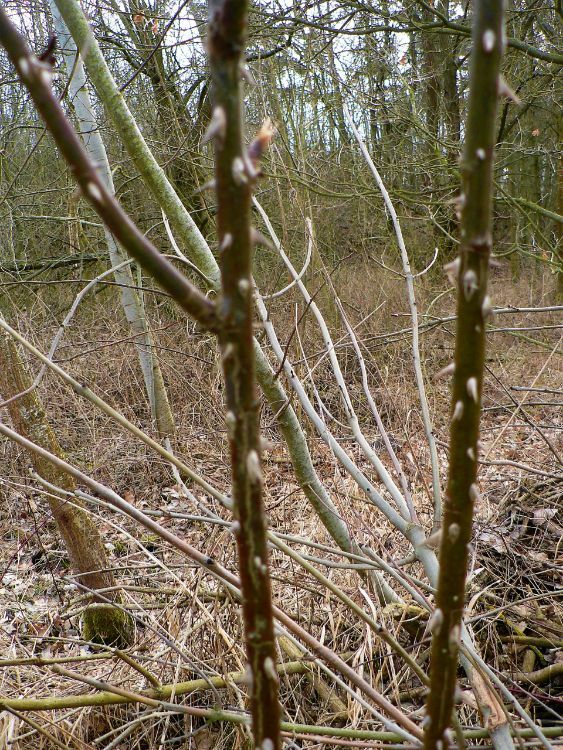 Find an outward-facing bud on each cane and prune just above that bud. 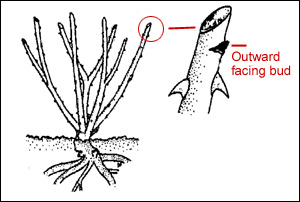 All cuts should be made at a 45-degree angle that will encourage water to drain away from the bud to help prevent rot and disease. Make sure the cuts are straight and the cut surface is not jagged but smooth. Sharp pruners will help facilitate this. The American Rose Society explains in depth the importance of the correct angle and the reasoning behind it. Resources Gardenerd, George Weigel, Heirloom Roses, Garden Guides, Get Busy Gardening!, University of Illinois Extension, American Rose Society, and Heritage Roses in Australia, Inc.